Already the University of Minnesota Press staff is doing a great job with my book! 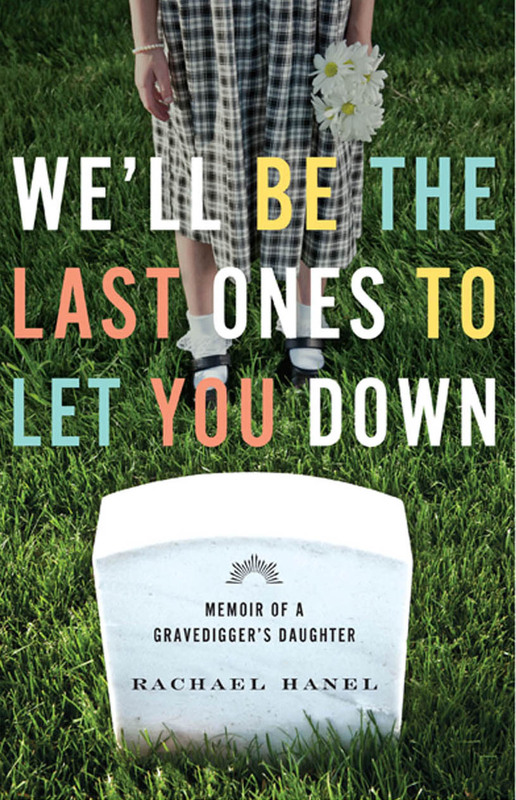 In April my memoir, We’ll Be the Last Ones to Let You Down, will be published by the University of Minnesota Press. I wrote the book’s first words in 2000. Do the math—that’s 13 years. So how did it end up in the hands of UMP? In 2010, I thought that I had a fairly strong manuscript that could be sent to agents and editors. So I did what any aspiring author does with a manuscript—I queried far and wide. A query letter boils down to: here’s what my book is about and here’s why you should publish it. At this point I basically had two choices as to where to send my query/manuscript. A writer cannot just send a manuscript to a big publishing house herself. Or she could, but it would be tossed out unread. Literary agents act as gatekeepers to ensure big publishers get the best manuscripts. So if I wanted my memoir to be published by a big publisher, I needed to go through an agent first. That was my answer: My book wouldn’t find a home among the big publishers who are looking for the next razzle-dazzle big seller. But I had a feeling this might be the case, so while I was querying agents, I was also sending the manuscript to smaller publishers that didn’t require agented submissions. The University of Minnesota Press was among these publishers. But as is often the case in the publishing world, authors wait and wait and wait to hear back from editors and agents. So cut to late 2011: I queried another agent on the advice of a friend. This agent was receptive to my manuscript and went so far as to call me. She was blunt: The manuscript was good, she said, and she could try to make a case to big publishers to publish it, but it would be a hard sell. Editors weren’t exactly clamoring for Midwestern stories, she said. But she could give it a shot. Before I pursued a more formal arrangement with her, I thought I would check on a few places that still had my manuscript. It’s considered polite in the publishing world to withdraw your submissions when someone else is interested in them. In early 2012, I contacted Todd Orjala at UMP to inquire about the status of my manuscript. He responded within a couple of days: He was interested, and he was going to take my manuscript to his board to see if he could get a consensus agreement to publish it. They liked it, I met with Todd in April to discuss particulars, and I submitted the final manuscript on June 1. I’m thrilled to be published by UMP. It has an outstanding reputation for producing quality, engaging, thought-provoking work. The memoirs they’ve published in past years have been phenomenal: Memory of Trees by Gayla Marty, The Witness of Combines by Kent Meyers, and The Evening Crowd at Kirmser’s by Ricardo Brown. I’m excited to read Thirty Rooms to Hide In by Luke Longstreet Sullivan, about growing up in a Rochester house with a Mayo surgeon dad who battles insanity. The UMP is exactly the right home for my book. I’m afraid that if it had been taken by a larger publisher, it would not receive the same amount of care and attention. A small press cares about its books and its authors. It knows its authors; they are not just another faceless name on a list. The staff at UMP will help me make the most of my book. As we wrap up University Press Week, I hope that more people will pay closer attention to university presses and the fine work that they produce. The holidays are quickly approaching; how about browsing through a university press catalog when searching for gifts? Support a small press, stay local (in most cases you will be able to find a university press in your state, and definitely in your region), and avoid the Black Friday crowds! Rachel, I found you via Richard Gilbert’s Narrative, and figured you must be here in Minnesota too! I’m happy to know about you and your memoir, and will definitely look forward to it. Congratulations! Yours is a great success story. Thanks for the kind words, Paulette! It’s nice to hear from you, considering your wonderful reputation as a writer! Great advice, Rachael. As a former university press staffer, I know what you say is true. Also, my book is in much the same boat—I’ve gotten the “will not be able to attract a big enough audience” line too. This means what it says: the big New York trade press world needs to feel assured of mega sales for it to put the marketing muscle and dollars behind a book. But a smaller trade press or university press is apt to look for quality and a fit with its list, and will likely keep a book in print a lot longer than a trade press would. You might get 1 to 2 years in print at a big press and a decade or more at a university press. That’s a great idea for shopping local, and one that had never occurred to me. Very clever. I agree that University presses publish the highest quality–what an honor for you to have been selected by UMP. I’m really looking forward to reading your memoir. I really appreciate tha t, Rachel. I expect to have my memoir done in a couple more years, and any guidance like that is really appreciate. this is fabulous! I do wish you would share your query letter because that seems like a very important mystery–how to write a great query letter. I will share my query letter! I’ve had other people ask me about that, too. I know it’s a hugely popular topic. Thanks for the suggestion!